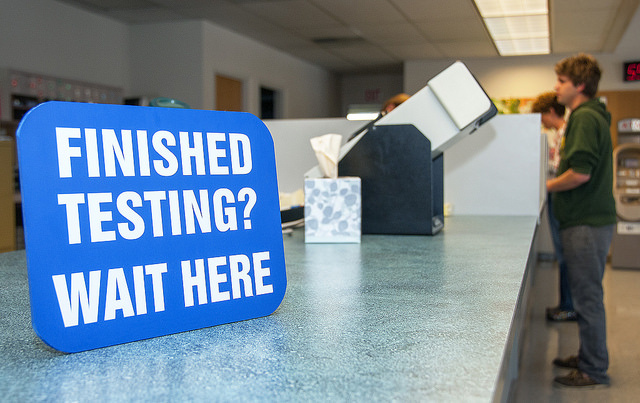 In an effort to increase efficiency to meet the anticipated demand, the California DMV has hired 405 new employees to date and hopes to hire 500 more by the end of 2014. In addition to an increase in personnel, four temporary field offices are scheduled to open by January 01, 2015 in Lompoc, Stanton, Granada Hills, and San Jose. The Department of Motor Vehicles has held four public hearings across the state of California with the purpose of reviewing and responding to complaints, comments, and all other input related to the introduction of the new law. The DMV plans on preparing final revisions in response to these hearings and will offer 15 days of additional public commentary forums before receiving final approval from the Office of Administrative Law. The DMV is currently working jointly with the California Highway Patrol to educate law enforcement in regards to the new law as well as the prohibition of profiling and discrimination. For more information on further AB 60 press releases, sample tests, study material, proposals, and public hearings and workshops please visit the California DMV’s AB 60 web page by clicking here. For legal advice contact our office by clicking here, it is our pleasure to assist you.